Our lifecycle service concept accompanies you through the entire life cycle of your KePlus system. 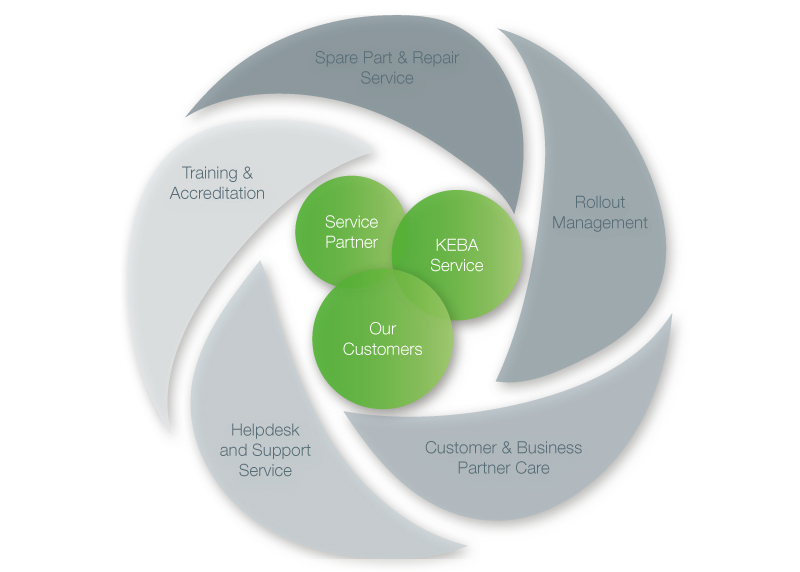 Starting with a time-saving and professional start-up, KEBA looks after all services regarding your KePlus system. 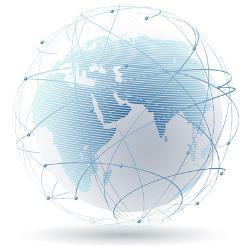 Regular maintenance ensures a high availability of your devices. You can keep your KePlus self-service systems up-to-date with our upgrades and integrate individual solutions. We are here for you if you want to change the location of your KePlus systems and support you with the change of location. In the last phase of your KePlus system’s service life, KEBA will also support you with the exchange of your old self-service system. The availability of your KePlus systems is ensured by our maintenance services. We make it possible for you to follow your self-service strategy with an individual combination of services. To pre-empt failures of the self-service systems, KePlus Service carries out preventative maintenance in which all KePlus system components are checked, cleaned, tested and also repaired if necessary. If an unexpected operating fault should occur with your KePlus terminal, you can also rely on our trained technicians within the KePlus maintenance service! Due to individually agreed Service Level Agreements, you can define what reaction times and repair times you wish in case of malfunctions. ... for the best performance of your machines! You can buy them easily in our online shop. ... for even more safety and new features so you are always up-to-date. 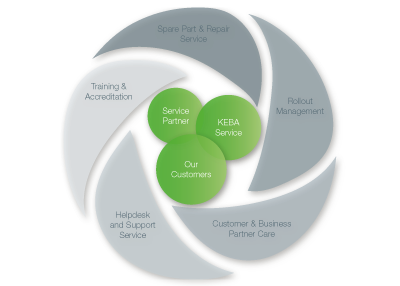 In order to be able to offer our customers a high-quality service worldwide, KEBA relies on its experienced KEBA Certified Service Partners. As a result, we can guarantee you a consistent, satisfactory service outcome. The service partners are certified by our coordinated training program for service partners which are taken by all of our partner’s service technicians.